Not long to go now until the first UK screening of Guillermo del Toro's long-awaited Pan's Labyrinth at this year's Frightfest event in London on Friday 25th August, and we can't wait. Screening at 6.30pm, the film will be introduced by heavyweight Spanish horror director himself, and we reckon it will be THE film of the festival, if not the whole year. Look out for our exclusive video interview with Mr del Toro which will be published sometime next week. 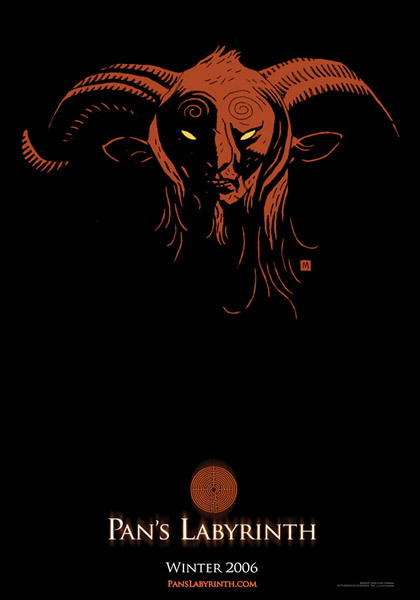 Pan's Labyrinth will be released in the UK on November 24th before hitting US cinema screens on December 29th 2006. Set in 1944, at the end of the Spansih Civil War, Carmen (Ariadna Gil) moves with her young daughter Ofelia into the countryside after marrying brutal Captain Vidal (Sergi Lopez). Finding her harsh new life hard to bear, Ofelia seeks refuge in a mysterious maze next to the house.